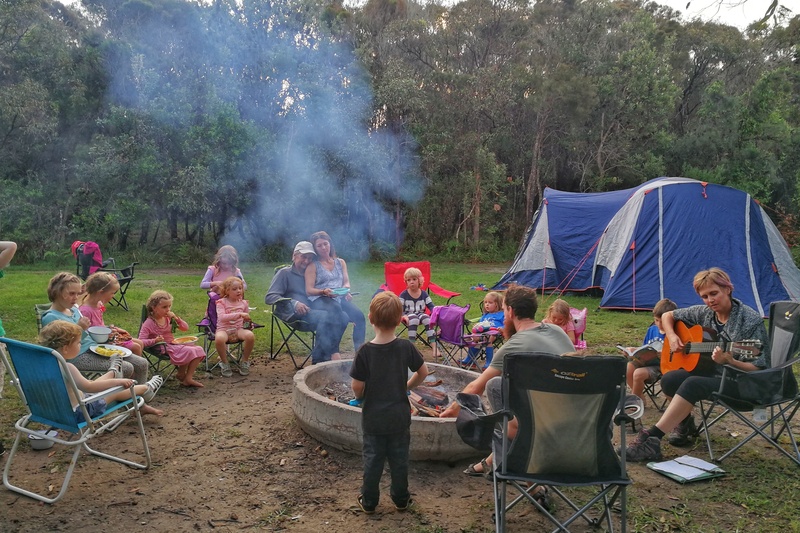 This years Alithia campout weekend was held at the Illaroo Campground Area in Yuraygir National Park. 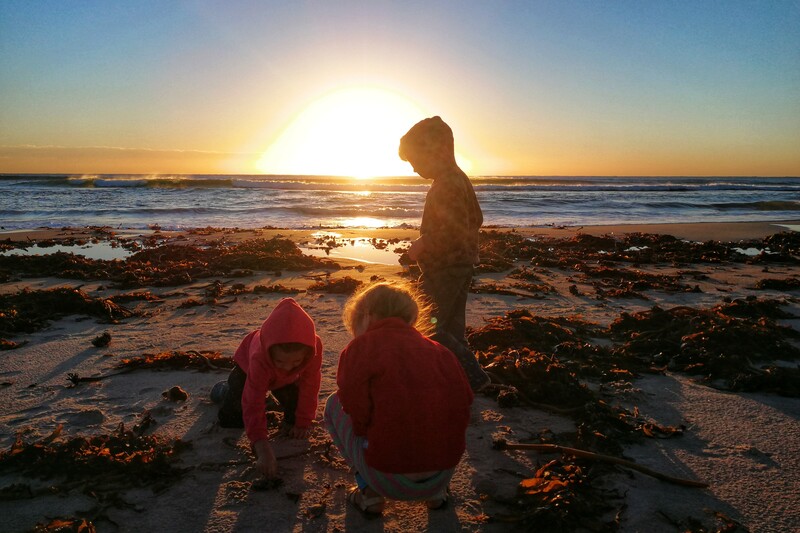 Participants reviewed the weekend as an ‘amazing and nurturing time’ with positive responses all around and 'the children feeling very fulfilled from their experiences'. 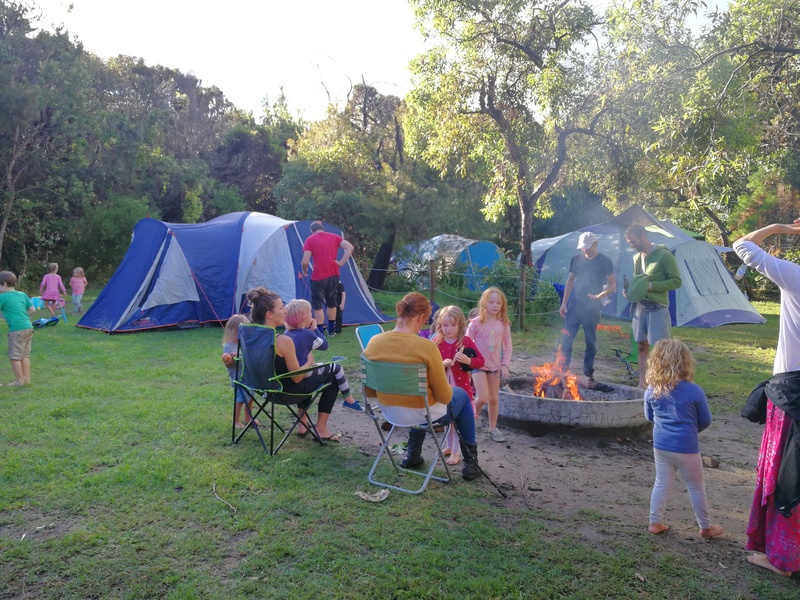 The aim of the camping weekend was for families to come together, relax and reconnect with nature. 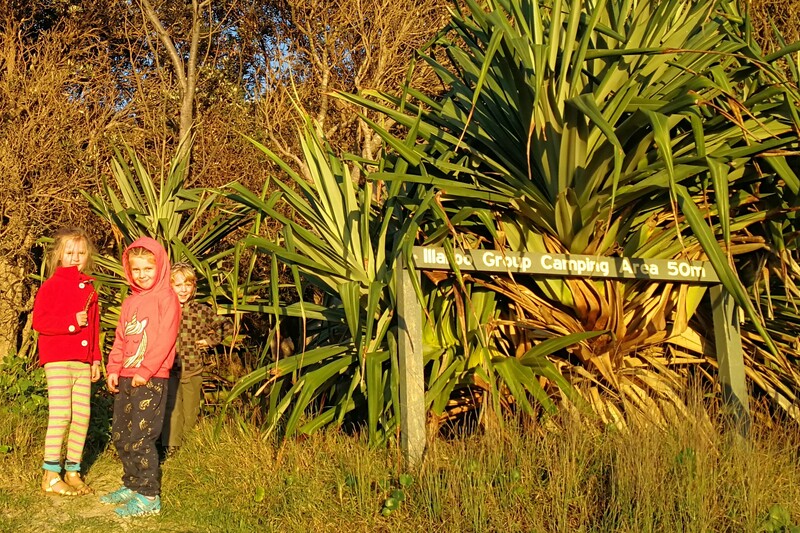 The first families arrived Friday and started setting up their camps at this secluded and very private camp area. Families came together for campfire dinners. The waterproofing of the tents and trailers got tested with some rainfall! 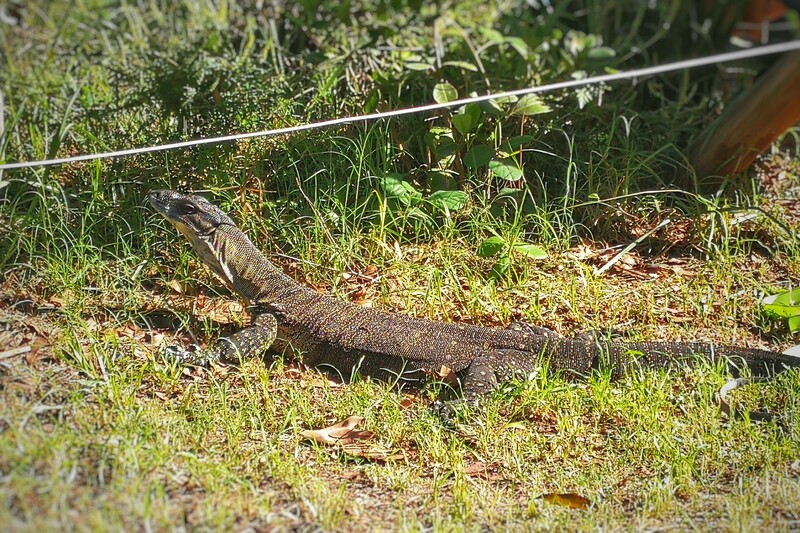 More families arrived on Saturday morning. 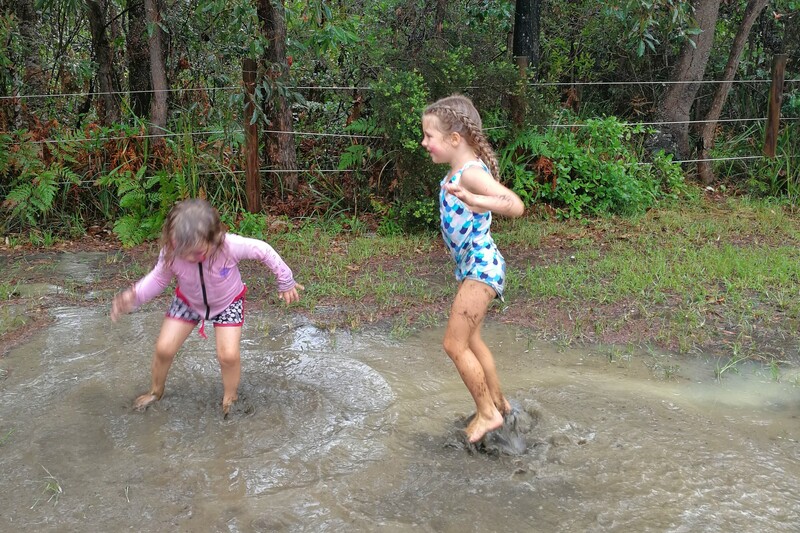 The children loved playing in the rain, enjoyed some interesting games and got creative painting each other’s faces. 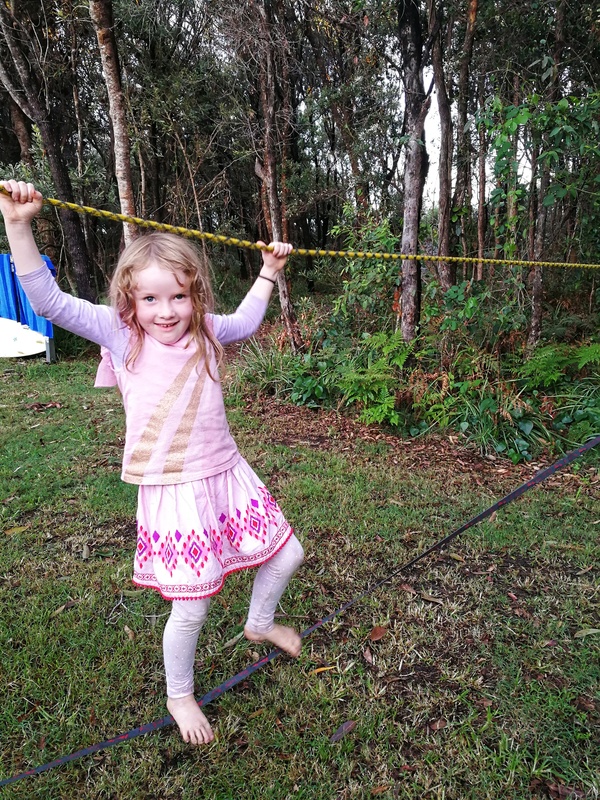 Ben Whitaker set up slacklines in between the trees where adults and children could test their balancing skills. 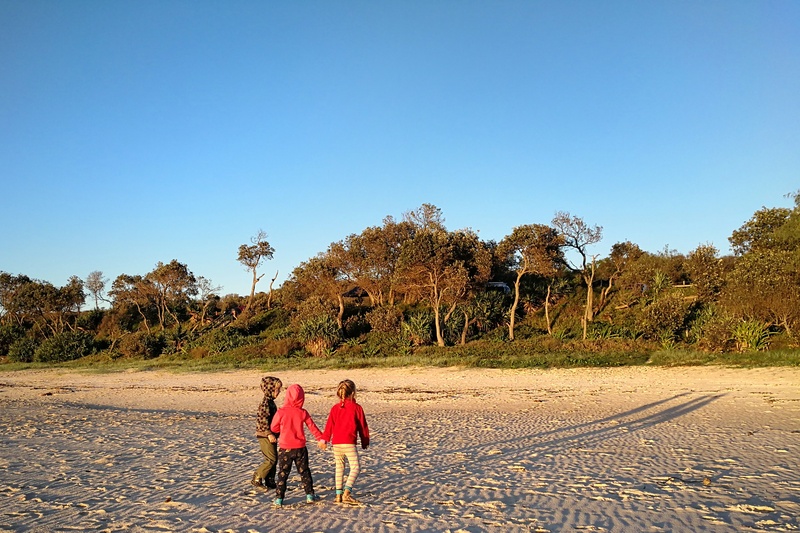 Some families decided to go for walks and explore the beach, scout for interesting rock formations and forage through the local bush. We then came together for another workshop ‘Fire by Friction with the Bow Drill’ by Nic Denshire. 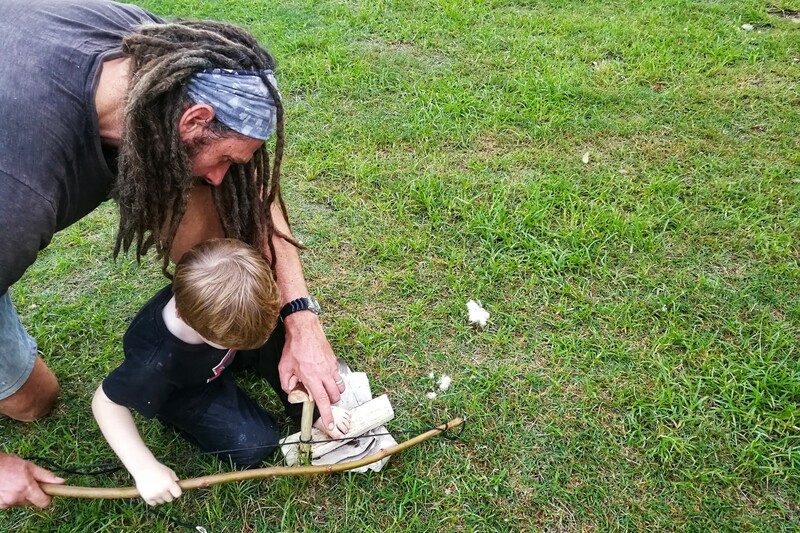 Here the children and adults could learn and demonstrate their survival skills to create a fire with materials found in nature. 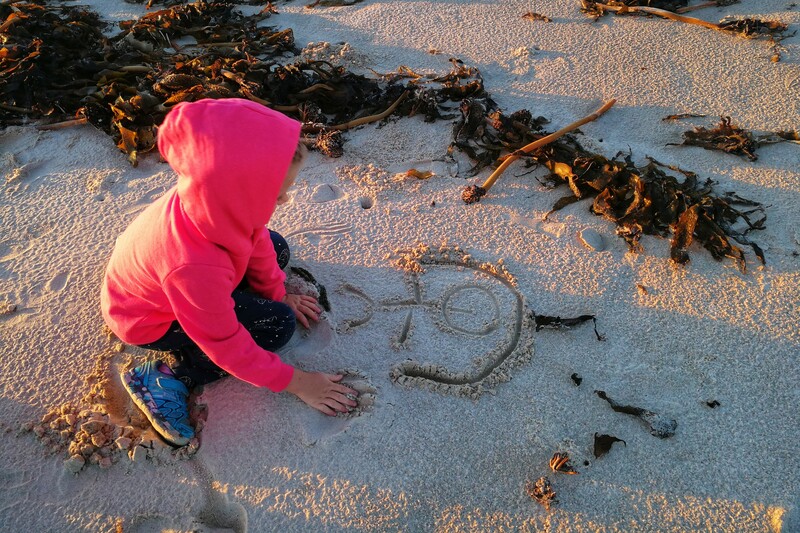 When the tummies started to rumble everyone came together for sunset dinner around the campfire. 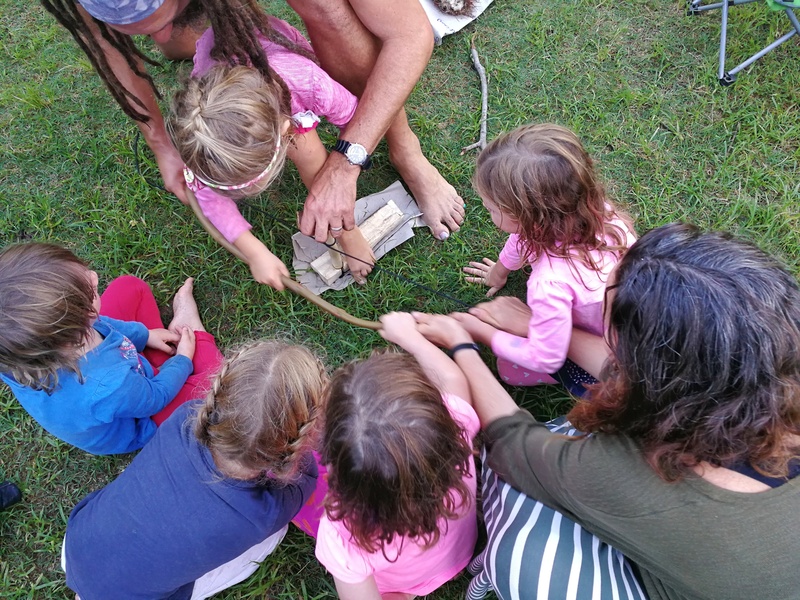 We also got treated to some lovely fresh dampers which were made earlier in a ‘workshop’ led by 6 year old Ahlia Denshire. 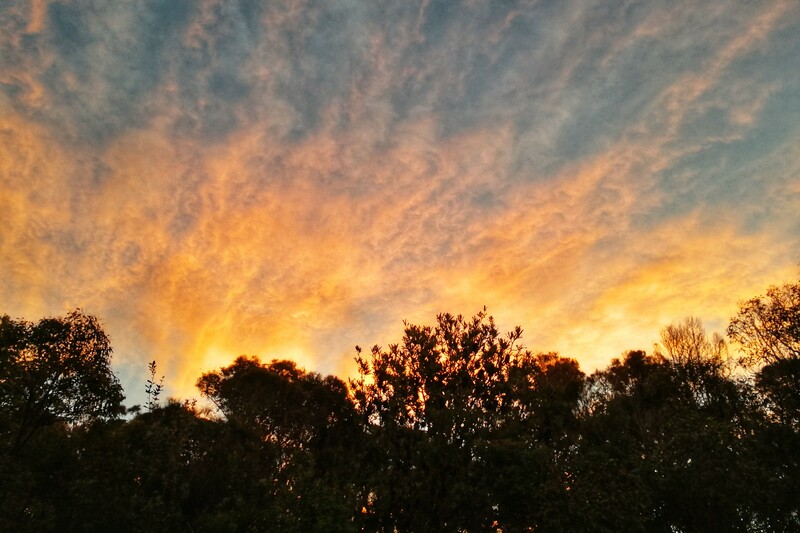 The setting sun treated us with an amazing show of bright orange evening lights. Everyone enjoyed the very relaxed atmosphere, the songs of the birds, the laughter of the children and some lovely guitar tunes. 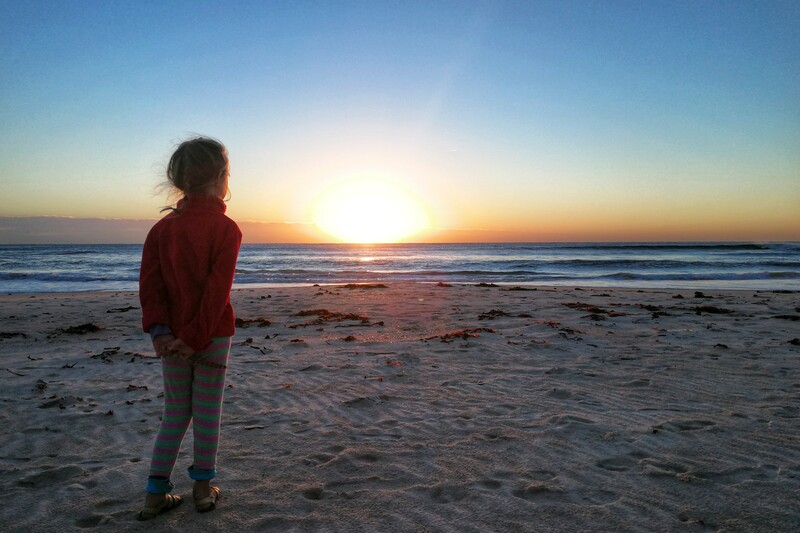 Sunday morning most children where up with the first daylight and some of them decided to see the sun rise at the beach to welcome the new day. and played funny games with our long shadows. The ‘Introduction to Bird Watching’ was the first workshop this morning that got most adults and children interested. 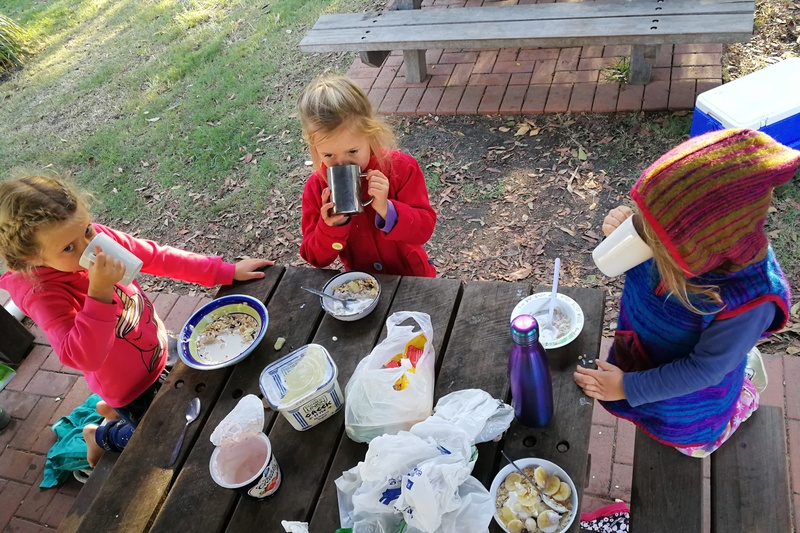 Followed by some nurturing breakfast and warm drinks. 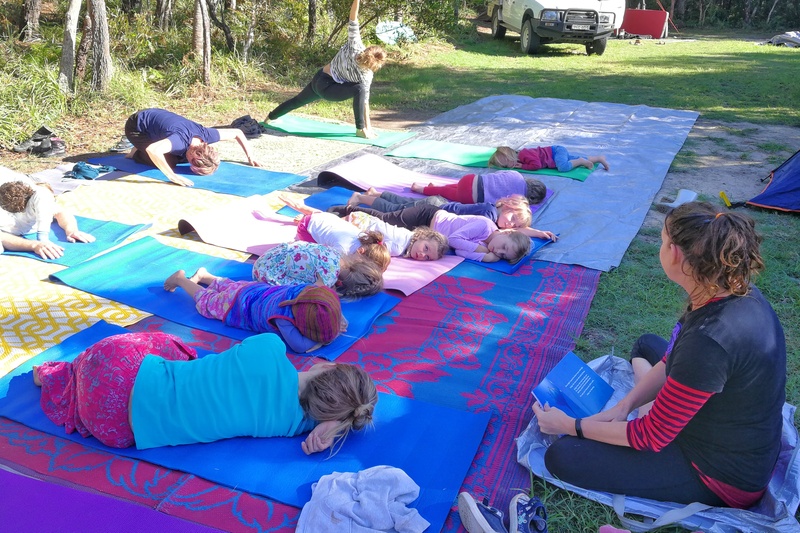 As the sun started to fill the forest clearing Karen rolled out the yoga mats and guided the children through a calming visualisation journey. 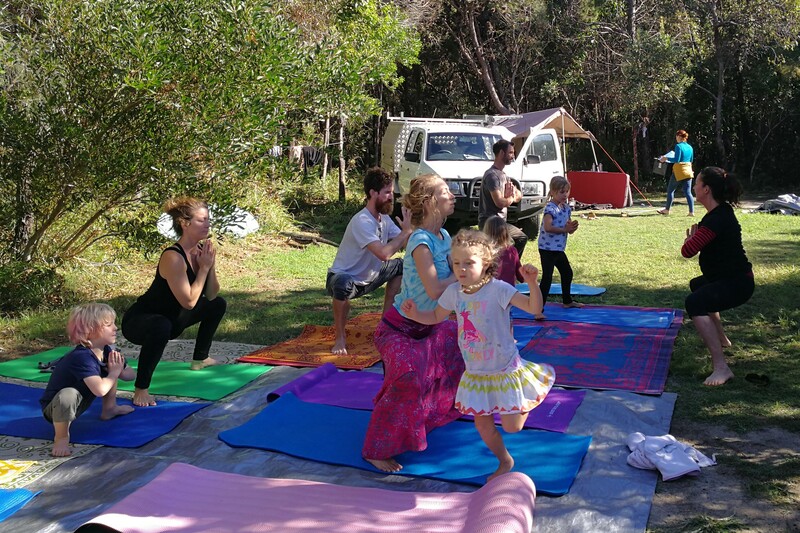 Followed by family yoga and an introduction into relaxing breathing techniques. 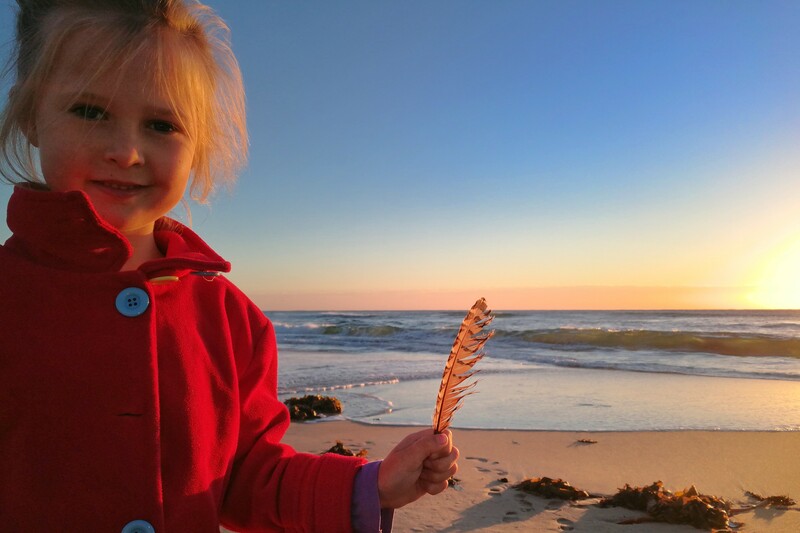 A final beach visit and refreshing dip in the ocean made this amazing weekend perfect and we are already looking forward to the next one. 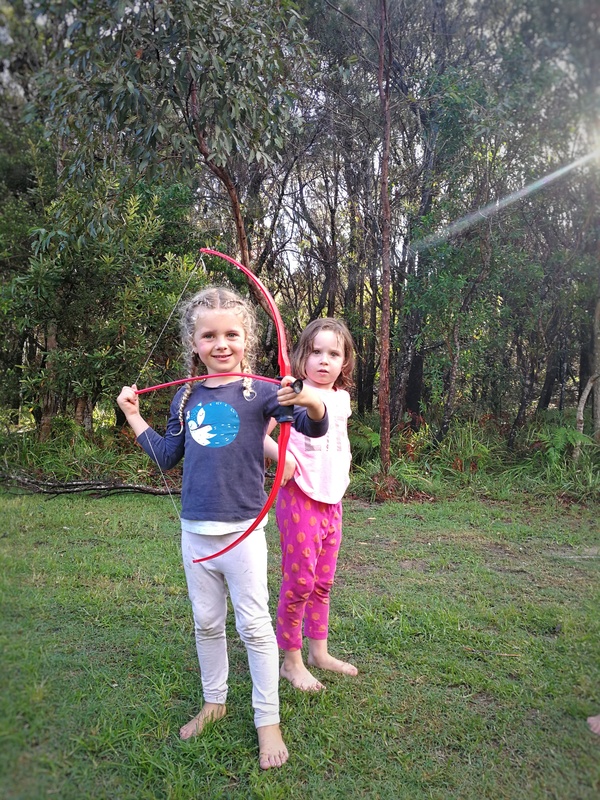 We thank Amy Denshire and Karen Caves for organising the second Alithia Campout Weekend and all families that came along to enjoy this wonderful experience.